Where Is The Lefevre Peninsula? The Lefevre Peninsula is located in South Australia, Australia. The peninsula has a large stretch of sandy beaches. A peninsula is a Latin word that is used to refer to a section of land or a piece of land which has been surrounded by water on the majority of its border. The area is also connected to the mainland. A perfect example of a peninsula is the Lefevre in Australia. The name of the peninsula (Lefevre) was adopted from the name of a south Australia colonialist commissioner by the name of Sir John George Shaw-Lefevre. Most of the peninsulas are found at the coastlines, river banks as well as the beaches. The peninsula is located in the state of South Australia. By definition, the peninsula is sand split on a sea or an ocean beach. The Lefevre peninsula is located 9.3 miles to the northwest of the Adelaide city center. The peninsula extends northwards to the mainland and covers an area of 30 square miles. To the east of the peninsula is the Gulf of Saint Vincent and bounded to the north as well as the east by the Port River. According to experts, the peninsula was used as a road since the ships that sailed the port river could only navigate to the peninsula. The peninsula is separated from the mainland by the Port River and the Barker inlet. The suburbs are located in the east base of the peninsula. A vast region of the peninsula has been developed and used for a principal economic purpose, and the residential has been constructed extending inwards to the mainland from the west part. Factories and industries are concentrated within the port river waterfront. 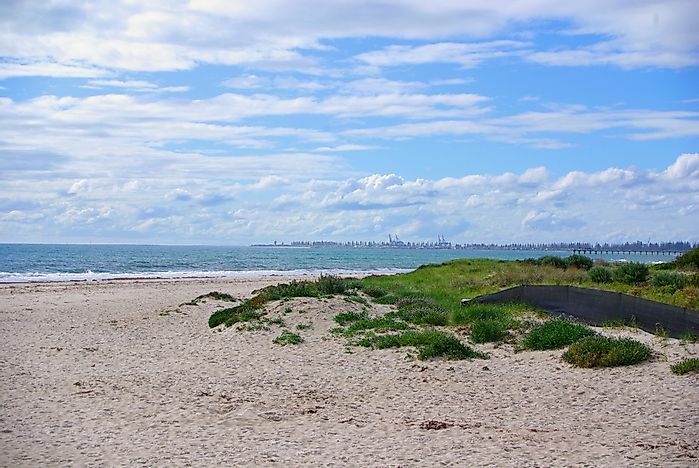 Since the peninsula is located on the beach, the area is considered to be a high maritime region, this as a result of its proximity to the port of Adelaide and the port driver. In the suburbs of Osborne, there were the colins class submarines. The Pelican Point Power Station was constructed along river port in 1999; this was to provide the power for the vast developing region. As a recreational region, the peninsula has several clubs; they include the golfing club and the cricket club. During the 1840s, the European colonialists made settlements in the region. Before the time the peninsula was undeveloped the coastlines were covered in the mangrove. The surrounding land was covered with bushes, and the sand split was infested with native organisms of different species. Currently, the forests have been cleared for settlement and also reveal the coastline and the beautiful beaches. The local government of Lefevre District Council governs the peninsula and oversees the smooth running of activities within the spit. The District Council was adopted in the year 1872 and gazette the same year. The headquarters of the committee was in the Exeter hotel. Later on the 22nd of February 1877 the district council separated from the district council of Birkenhead. On 17th August 1884, the Lefevre Peninsula Council merged with the Semaphore council and acted as one to run the region as well as the peninsula.